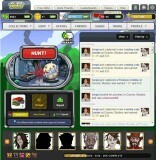 Hollywood Zombies is a browser based role playing Facebook zombie themed game from Kano Applications. The Hollywood Sign is in wreckage, the hilltop mansions are empty and the streets are bare of life. Bare of life, but not completely deserted. The police couldn’t hold them back and the army never stood a chance. Nobody was prepared for the outbreak, and now undead rule Hollywood. The mysterious council known as CORPSE (the Council of Ridiculously Powerful Super Executives) needs you for a dangerous mission. 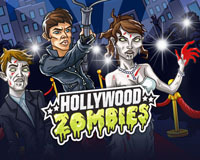 They’re hiring courageous Zombie Hunters to venture into Hollywood and catch the undead superstars wandering the city. Their plans for these superstar stiffs remain secret, but CORPSE pays handsomely for every body you bring in. The bigger the star, the bigger the payout! Zombies rule Hollywood, but not just zombies: celebrity zombies! 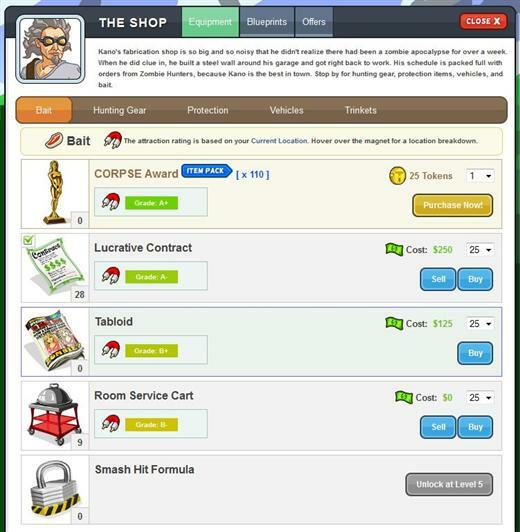 Use unique baits, traps and equipment to team up with friends and catch brain-eating blockbusters in every Hollywood hotspot. 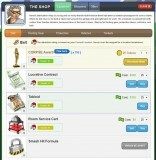 Win money, skills and gear to hunt stronger superstars! 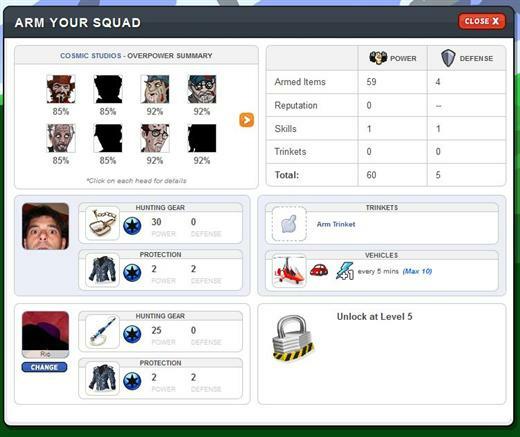 Add Friends or in-game Mercenaries to your Squad to catch stronger zombies and earn better rewards! 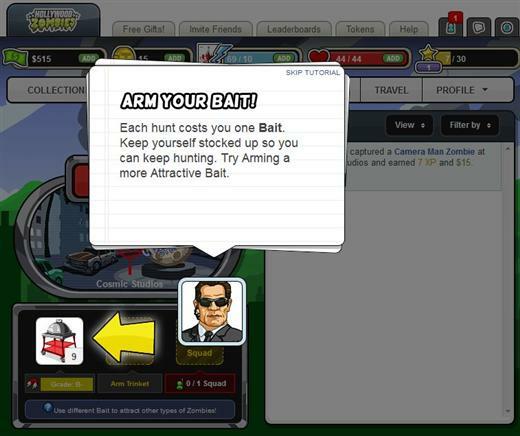 Squad members can be armed with hunting gear and protection. 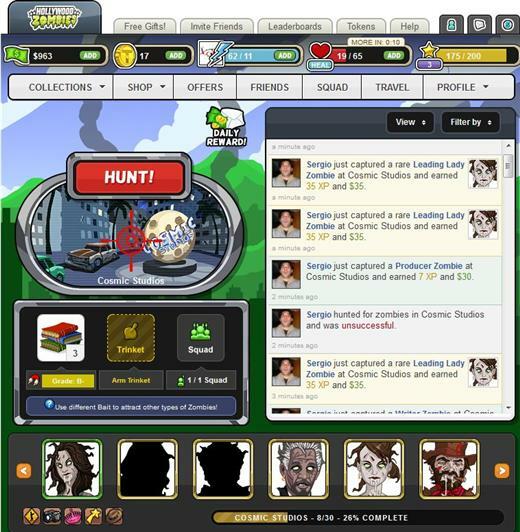 With more friends you can earn you income by taking you on hunts, give you Reputation Points for scavenging and help you fill out your Squad slots. 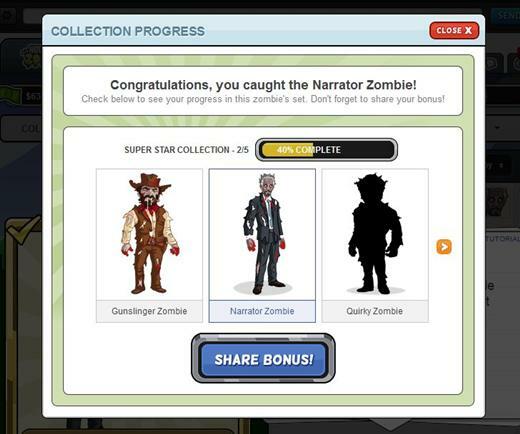 In Hollywood Zombies, you can equip yourself, your friends and squad members, upgrade your baits, gear and weapons, get skill points on each level up to improve your character strength, defense, luck, energy and health.